2016 saw Liquid State continue working on enterprise level projects for private industry clients, while also expanding our profile with government through several proof-of-concept projects. Proof of Concept Project with Children’s Health Queensland – saving over 60% in communications cost across multiple channels. Proof of Concept Project with The Department of Science, Information Technology and Innovation (DSITI) – a digital publishing solution showcasing potential improvements to citizen engagement and servicing, as well as more efficient publishing pathways. 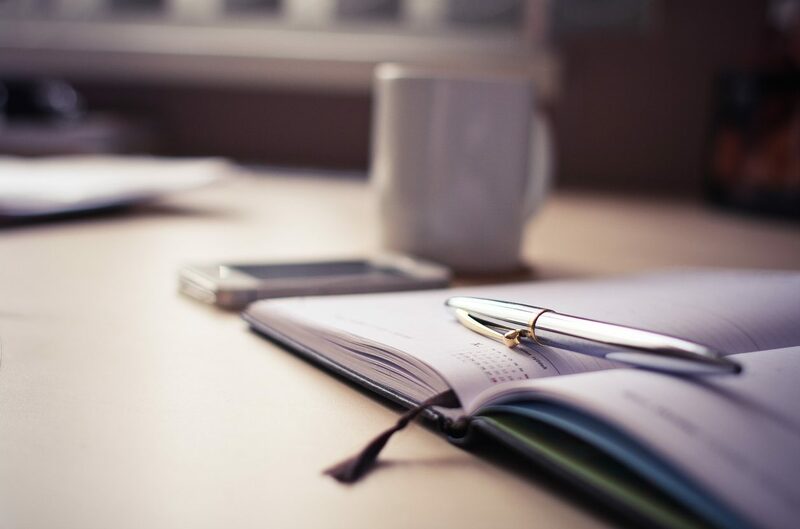 Testing Within Government (TWiG) Program – Liquid State and DSITI tested using Carbon Editor as a smart writing platform for producing government correspondence. Production Project with Logan City Council – innovative city app project with local Government. 2016 saw Liquid State expand internationally, developing our European profile while working on enterprise level projects for private industry clients. 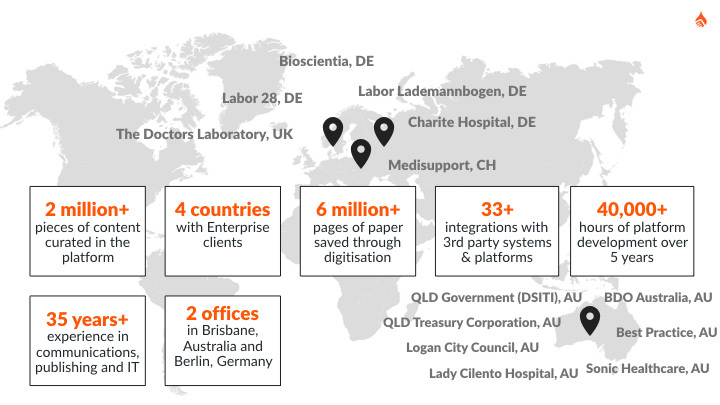 International Expansion – Liquid State opened an office in Germany in order to build our European customer base with clients such as Medisupport Switzerland. Integration – Liquid State developed deeper integration with enterprise information systems for clients such as Labor Lademannbogen. The Doctors Laboratory United Kingdom – Liquid State underwent mass content reworking to suit the UK context, using Carbon Editor as a basis for creating a single source of truth to power future communications. Lohmann & Birkner Berlin Pilot Project – Liquid State worked on patient engagement and communications for the musculoskeletal department of Charité Hospital. Liquid State continued developing the sophistication and power of the Liquid State Platform. Increased the platform’s support for third-party integrations, with more than 30 new SAAS tool integrations. Developed advanced content editing features in Carbon Editor, including: variations (omni-channel content), copying documents, cross-linking content, and additional content ingestion pathways and output endpoints. Added new user interface options for apps built using Ubiquity, including app user onboarding for improved user experience. Liquid State released its very own demo app and content marketing platform, Droplet. Droplet is available for download on iOS and Andriod. 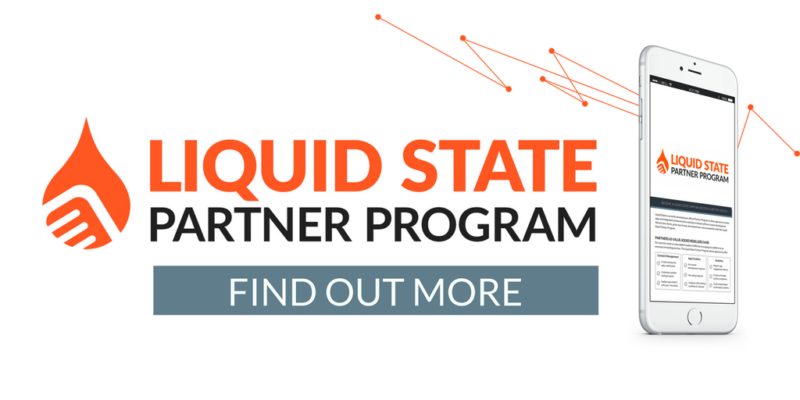 Liquid State commenced the rollout of a Partner Program in conjunction with partners across Europe and Australia. The Liquid State Partner Program allows agencies to create apps and integrated communications solutions in-house, without custom development. Our partners work as value-added resellers (VARs) by leveraging the Liquid State Platform as an extension of their existing services, providing the opportunity to offer content management, app creation and analytics to their clients.